I’ve always tried to take good care of my skin, but recently, I’ve found a new obsession in face masks. (Apologies to my Snapchat friends who get a ton of creepy face mask snaps…) I’ll do one at least once a week, and I love how my face feels afterwards. 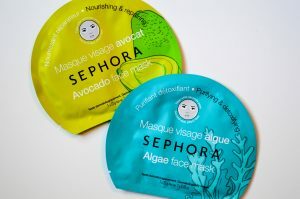 Given this newfound obsession of mine, I’ve had quite a bit of fun testing out all sorts of different masks, and I’m going to share a few of my favorites – or really just my top three. 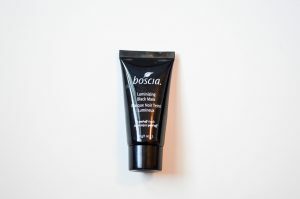 This was the first face mask I fell in love with – I bought the entire Boscia black line when I randomly had a slew of blackheads pop up on my cheek, and while I love all of it, this mask was definitely the best part. Let me warn you though, it’s definitely not for the faint-of-heart (aka people who have a low pain tolerance). It’s a peel-off mask, so if you manage to get it stuck in some of the baby hairs at your hairline, good luck – that sucker’s gonna hurt. Have you ever seen that viral tweet where the girl goes to peel off her face mask and it sounds like her skin’s peeling off and she absolutely loses it? Yeah, that happens with this mask. But it’s worth it – my skin glows for days afterwards. 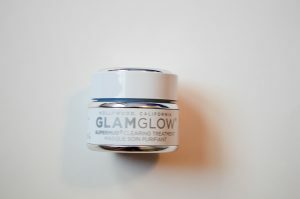 Here’s a nice inexpensive mask to round out the list. If you think normal face masks look creepy on, you’ve clearly never seen a sheet mask. I look like something out of a horror movie with one of these guys on – which was fun when a bunch of people showed up at my apartment unannounced a few months ago. Anyways, this mask is really nice because it’s a bit gentler than the other two, but still leaves your skin looking great. The first time I used it, I was shocked how soft my skin felt afterwards, and immediately went out and bought like three more. Sephora has a kit out right now with this mask and their other sheet masks – I just ordered it (I told y’all face masks are my weakness). Any other face masks I should try in the future?